Ricky Ponting served as Australia's first captain of Twenty20 Internationals. Since their first match in 2005, 92 players have represented Australia in Twenty20 Internationals. A Twenty20 International is an international cricket match between two representative teams of ODI status, as determined by the International Cricket Council (ICC). A Twenty20 International is played under the rules of Twenty20 cricket. The list is arranged in the order in which each player won his first Twenty20 cap. Where more than one player won his first Twenty20 cap in the same match, those players are listed alphabetically by surname. Australia have played 106 matches, winning 56 and losing 47; one ended in a no result and two were tied. Their first game was against New Zealand which was also the first ever Twenty20 International to be played. In this game they scored 214 off their 20 over which still remains the 4th highest score made in an innings by a team in Twenty20 Internationals. Their loss in their second game against England which was by 100 runs was also the fourth highest defeat in Twenty20 Internationals. Most of the Twenty20s played by Australia have been one-off matches usually in association with a One Day International or Test series against the same team. 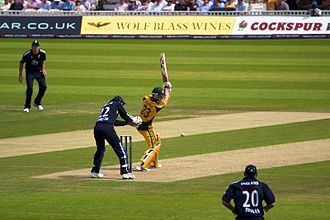 Australia participated in the 2007 ICC World Twenty20, the first tournament of its kind, and were knocked out in the semi-finals of the competition by India who went on to win the tournament. David Warner is Australia's leading run scorer with 1,792 runs and Shane Watson is the leading wicket taker with 48 wickets. The highest individual score for an Australian is 172 by Aaron Finch. Statistics are correct as of 8 July 2018. Ricky Ponting was Australia's first captain in Twenty20 Internationals. On occasions when Ponting was unavailable, vice-captain Adam Gilchrist filled the role. In December 2007, Ricky Ponting was rested from the team to give the younger players exposure. 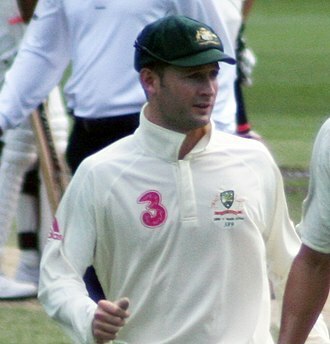 Although vice-captain Gilchrist was in the team, 26-year-old Michael Clarke was selected as captain. Ponting called him the "obvious choice" and Clarke has been predicted to be the next full-time captain of Australia once Ponting steps down from the captaincy. With Gilchrist's retirement from all forms of representative cricket at the end of the 2007/08 season, Clarke has been promoted to the regular vice-captain's position. Thereafter, Cameron White was promoted as the captain, but George Bailey has taken over the captaincy in the two match series against India. ^ a b c George Bailey, Ben Cutting and Tim Paine also played for World XI. Only their records for Australia are given above. ^ "Records / Twenty20 Internationals / Team records / Results summary". Cricinfo. Retrieved on 6 February 2012. ^ "New Zealand v Australia". Cricket Archive. Retrieved on 7 November 2008. ^ a b "Largest margin of victory (by runs)". Cricinfo. Retrieved on 7 November 2008. ^ Dileep Premachandran (22 September 2007). "Rampant India edge home in humdinger". Retrieved on 7 November 2008. ^ "Australia – Twenty20 Internationals / Players by Caps". Cricinfo.com. Retrieved on 21 February 2017. ^ "Australia – Twenty20 International Batting Averages". Cricinfo.com. Retrieved on 21 February 2017. ^ "Australia – Twenty20 International Bowling Averages". Cricinfo.com. Retrieved on 21 February 2017. ^ "Captain Clarke leads in Twenty20". Cricinfo.com. 5 December 2007. Retrieved on 7 November 2008. ^ "Clarke handed Test vice-captaincy". Cricinfo.com. 2 April 2008. Retrieved on 7 November 2008. ^ "Australian Twenty20 International Captains". Cricinfo. Retrieved on 10 October 2014. Glenn Donald McGrath AM is a former Australian international cricketer and a commentator for Channel Nines cricket coverage. Known throughout his career for maintaining a line and length, McGraths consistency enabled him to be one of the most economical. He has taken the seventh-highest number of one day international wickets, McGrath is the director of MRF Pace Foundation, replacing Dennis Lillee, who served for 25 years. He currently serves as the Co-Founder and President of the McGrath Foundation, Glenn McGrath, along with Rahul Dravid, was honoured during the seventh annual Bradman Awards function in Sydney on November 1,2012. He was inducted into ICC Hall of fame in January 2013, McGrath was born in Dubbo, to Beverly and Kevin McGrath. He grew up in Narromine, New South Wales where he first played cricket and he moved to Sydney to play grade cricket for Sutherland, and made his debut for NSW during the 1992–93 season. McGrath capped his rapid rise in the next Australian summer with selection in the Test team after only eight first-class matches, McGraths Test debut was against New Zealand at Perth, in 1993–1994. In Australias 1995 Test series victory, McGrath took the approach of bouncing the West Indies team including the bowlers, which had not happened before. In 14 first-class games he took 80 wickets at 13.21, including an outstanding innings return of 8–41 against Northamptonshire and he played a few games for Middlesex in 2004, although accurate, he could manage only nine wickets in four first-class appearances for the county. During the 1st Test at Lords in the 2005 Ashes series Glenn McGrath became the fourth bowler in history to take 500 Test wickets with the dismissal of Marcus Trescothick. This wicket was the start of a productive spell of 5–2 which led to England being bowled out for 155. McGrath took 4–29 in the 2nd innings and was named man of the match in a comprehensive Australian victory and he missed the 4th Test at Trent Bridge, which England won by 3 wickets, with an elbow injury. McGrath returned for the final Test at The Oval but he, and the rest of the Australian team, were unable to force a result and the match was drawn, giving England the series win. Mitchell Guy Johnson is an Australian cricketer. He is a left-arm fast bowler and left-handed batsman and he made his Test debut for Australia in November 2007 and was awarded the International Cricket Councils Cricketer of the Year award in 2009. He played a key role in the semi-final and final matches of ICC World Cup 2015 which led to Australia winning the World Cup for the fifth time, Johnson retired from all forms of international cricket in November 2015, having represented Australia in a total of 256 matches. Johnson was the last active Australian player with a Test cap number in the 300s, Johnson was born and raised in Townsville, Queensland. His first sporting love was tennis with his idol being Pete Sampras, at 14 he was offered the opportunity to move to Brisbane to further his tennis career but turned it down. It wasnt until the age of 17 that Johnson gave up on his dream of being a professional tennis player. When Johnson attended a clinic in Brisbane at age 17. Lillee contacted former team mate Rod Marsh and arranged for Johnson to join the Australian Cricket Academy in Adelaide, Johnson subsequently played for the Australian Under-19 side that toured England in 1999, however recurrent back injuries hampered his prospects. He recovered to start his first-class career two years later, when he was selected to play cricket for his native Queensland. Playing for Queensland against New Zealand, Johnson hit a six off the first ball he faced in first-class cricket, in September 2005, he was in the Australia A cricket team that toured Pakistan. He generally bowls the sling action and has the capability to bowl in excess of 150kph, Johnson switched from the Queensland Bulls to the Western Warriors on 25 July 2008. Johnson was chosen to be in the squad for the first Ashes Test beginning on 23 November 2006, Johnson went on to take 4/96 in the match. On 19 January 2008, Johnson scored his first ever Test half-century, against India in Perth and he ended with 8/61 the next day. 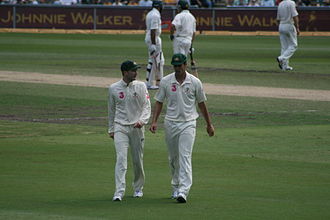 Despite this performance, Australia went on to lose the test, in the series he made 64 batting with Michael Clarke. The 2009 tour to South Africa saw an important development in Johnsons armoury, the ability to swing the ball into the right-hander. A One Day International is a form of limited overs cricket, played between two teams with international status, in which each team faces a fixed number of overs, usually 50. The Cricket World Cup is played in this format, One Day International matches are called Limited Overs Internationals, although this generic term may refer to Twenty20 International matches. They are major matches and considered the highest standard of limited overs competition, the international one-day game is a late twentieth-century development. The first ODI was played on 5 January 1971 between Australia and England at the Melbourne Cricket Ground. When the first three days of the third Test were washed out officials decided to abandon the match and, Australia won the game by 5 wickets. ODIs were played in kits with a red ball. The first of the matches with coloured uniforms was the WSC Australians in wattle gold versus WSC West Indians in coral pink, played at VFL Park in Melbourne on 17 January 1979. Matches played with coloured kits and a white ball became more commonplace over time, and the use of white flannels, in the main the Laws of cricket apply. Shaun William Tait is a professional Australian cricketer, who currently plays only in the Twenty20 format. He is a right arm fast bowler, Tait retired from One Day International cricket on 28 March 2011, following Australias early exit from the 2011 Cricket World Cup. In March 2017, Tait announced his retirement from all forms of cricket, Taits delivery action is a sling style that is reminiscent of former Australian fast bowler Jeff Thomsons action. Dubbed The Wild Thing, Tait is considered one of the fastest bowlers in the world and regularly delivers the ball at speeds up to 155 km/h, and occasionally faster. At T20 international on 5 February 2010 against Pakistan Tait bowled a ball measured at 160.7 km/h, the fastest ball ever recorded in Australia. His fastest ball was against England at Lords at 161. 1kph in 2010, Tait has been criticised as being expensive. Tait labelled the comments as a disgrace and added that hed be willing to undergo tests to prove his action is legal, Tait has represented South Australia for a majority of his first-class career, however has played matches for Australia A and Durham. He has taken over 150 first-class wickets at a rate of under 50. At the age of nineteen, Tait made his first-class debut for South Australia against Western Australia on 19 December 2002 at the Adelaide Oval and he only bowled in one innings on his debut, yet finished with respectable figures of 3/77 off 22.2 overs. Tait played 5 games in his first season, taking 20 wickets at an average of 22.55, as a result of his strong first season, Tait was awarded with a place at the Australian Cricket Academy alongside such players as Ben Hilfenhaus and Luke Ronchi. In the 2003–04 season, Tait hit his highest score of 68 batting left handed, an in form Tait was selected in the Australia A team to take on the touring Indians. Tait took 3/85 in the Indians first innings, including the wicket of Virender Sehwag, Tait once again had a strong Pura Cup season, taking 30 wickets at 28.33. This helped earn Tait Bradman Young Cricketer of the Year for 2004 and he was further rewarded as he was named in Australias squad to tour Sri Lanka after Brett Lee was ruled out through injury. Shane Robert Watson is a former Australian professional cricketer and captain. He played as a batsman and a right-handed fast-medium swing bowler. He debuted in 2002 in a One Day International and retired in 2016 as world No.1 T20I all-rounder and he is the last player to retire from Australias golden era of early 2000s. Watson holds several records in T20Is and he held the world No.1 position for a record 150 weeks, including a record 120 consecutive weeks in T20I all-rounder rankings.80, while taking 11 wickets with the ball. He is the player to win four consecutive Player of the Match Awards in ICC event history. Shane Watson was an AIS Australian Cricket Academy scholarship holder in 2000 and he started his first-class cricketing career for Tasmania after leaving his home state of Queensland, but returned to play for his native Queensland as his international career was beginning. He has played for Hampshire in the English County Championship in 2005 and he regards Terry Alderman as one of his mentors. Australian captain at the time Steve Waugh stated that Watson would possibly be Australias first genuine all rounder since Keith Miller, Watson expressed joy at being selected in an Australian team with Waugh, whom he cited as his idol. 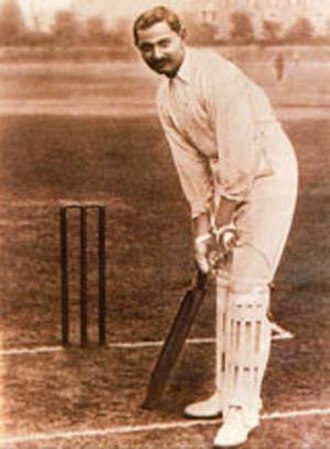 Watson scored a century on his debut in a tour match. Watson did make his ODI debut on tour, ironically replacing Waugh, Watson continued as a regular member of the ODI team until he suffered three stress fractures in his back, at the start of 2003, missing the 2003 Cricket World Cup. He was replaced by his Queensland teammate Andrew Symonds, who proceeded to establish his position as the all rounder after scoring 143*, Watson returned to regular ODI duty in the 2004–05 season, as a bowling all rounder. He made his test debut in the Third Test against Pakistan as the fifth bowler, Australian selectors included Watson as the fifth bowler and all rounder in all Test matches following the 2005 Ashes series. Watson played against the ICC World XI in the role, but he dislocated his shoulder in just his second Test in that role against the West Indies. James Redfern Hopes is a former Australian cricketer. Hopes played domestic cricket for Queensland, and had represented Australia in One Day International, Hopes has played for Australias Under-19s side as a batsman but as his career has progressed he has become more of a bowling all-rounder. Hopes, who made his debut in 2001, is the Bulls leading wicket-taker in the one-day competition and he has five Pura Cup centuries for Queensland and two one-day hundreds, but is a successful bowler. He had opened innings for Queensland in 2006/07 scoring 553 runs and taking 21 wickets in the Pura Cup, and capturing a season-high 20 victims, in 2010/11, he was handed the state captaincy replacing Chris Simpson. He was named Sheffield Shield Player of the Series for the 2010/11 series and he became 49th captain of the state. In November 2010, Hopes picked up 3 for 40 and top scored with 73 as the Bulls pushed well past Tasmanias disappointing 196 on the day at Bellerive Oval. In Big Bash match against Tasmania, he scored unbeaten 65 runs and affected a run-out and took a one-handed catch to dismiss Ryan ten Doeschate was declared the Man-of-the-Match. In Big Bash match against New South Wales, he scored unbeaten 62 runs 38 balls, in 2011, an allround performance from Hopes led Queensland to a comfortable six-wicket victory against New South Wales in Ryobi Cup. Hopes provided a start with 41 off 56 deliveries before this he took 4 wickets for 16 runs. Hopes took six-wicket haul and ensured that Queensland finished in place on the 2010/11 Sheffield Shield table with victory by an innings. Hopes was named the Sheffield Shield Player of the Series for 2010/11 at the State Cricket Awards in Hobart, Hopes finished season with averaged of 58.70 with the bat and 20.11 with the ball winning 23 votes won the award ahead of Tasmania allrounder Luke Butterworth. In 2011 Big Bash League, Hopes was signed with the Brisbane Heat, in IPL2012, he signed Sahara Pune Warriors from Delhi Daredevils. Hopes was the foreigner to be contracted by Warriors in the transfer window. But Pune Warriors had suffered a setback to their IPL preparations with an injury ruling out the Hopes. A cricket ball is a hard, solid ball used to play cricket. A cricket ball consists of cork covered by leather, and manufacture is regulated by law at first-class level. The manipulation of a ball, through employment of its various physical properties, is a staple component of bowling and dismissing batsmen. In test cricket, professional games that spread over a multitude of days, and almost the entirety of amateur cricket. Training balls of white and pink are common, during cricket matches, the quality of the ball changes to a point where it is no longer usable, and during this decline its properties alter and thus can influence the match. Injuries and fatalities have been caused by cricket balls during matches, the hazards posed by cricket balls were a key motivator for the introduction of protective equipment. British Standard BS5993 specifies the details, quality. A cricket ball is made with a core of cork, which is layered with tightly wound string, the equator of the ball is stitched with string to form the balls prominent seam, with six rows of stitches. The remaining two joins between the pieces are stitched internally. Lower-quality balls with a two-piece covering are popular for practice, the nature of the cricket ball slightly varies with its manufacturer. Cricket balls are red, and red balls are used in Test cricket. Manufacturers claim that white and red balls are manufactured using the methods and materials. Before October 2007, except during 1992 and 1996 World Cups, only one ball was used during an innings of an ODI, pink balls were developed in the 2000s to enable Tests and first-class matches played at night. It has performed well enough in testing and first-class cricket to be approved for use in international cricket, other colours were experimented with, such as yellow and orange, for improved night visibility, but pink proved to be the preferred option. As of 2014, the used in Test match cricket in England has a recommended retail price of 100 pounds sterling. In test match cricket this ball is used for a minimum of 80 overs, in professional one day cricket, at least two new balls are used for each match. Brett Lee is a former Australian international cricketer and film actor. He is a former Channel Nine Commentator, during his international career, Lee was recognised as one of fastest bowler in the world of cricket along with Shoaib Akhtar. He is known for his consistency of pace, going over 150 kilometres per hour throughout his career. His quickest delivery was 161.3 km/h in a test match against the West Indies in 2002, after that the world record for the fastest delivery ever is held by Shoaib Akhtar at 161.4 km/h. Lees quickest delivery in ODIs is 161.1 km/h playing against New Zealand in 2005 and he is widely regarded as one of the best pace bowlers ever to have played the sport. Lee was known for reaching a hundred miles an hour many times throughout his cricketing career, in each of his first two years, he averaged less than 20 with the ball, but since has mostly achieved figures in the early 30s. He was known as a fielder and useful lower-order batsman. Lee finished his Test with 310 wickets, and his One Day International career with 380 wickets, Lee featured in the Australian teams that won the 2003 and 2007 World Cups. He announced his retirement from all forms of cricket on 12 July 2012. In January 2015, Lee announced his retirement from all forms of the game, Lee was known for his pace and regularly clocked 90 mph and above. He ranks only behind Pakistani bowler Shoaib Akhtar as the fastest bowler in cricket during most of the 2000s. The strain of bowling at 150 km/h caused a string of stress fractures and recurring injuries and forced him to alter his strategy. Rather than relying on pace alone, he uses an array of deliveries aimed at wearing down the batsman. His fastest ball was clocked at 161.1 km/h against New Zealand in 2005, in a match against West Indies in 2000/01 he bowled a delivery which was clocked at 161.8 km/h, but it was not an official match and therefore not recognised by the ICC. Captain Ricky Ponting defended Lee saying that it was not intentional and his slower balls has dramatic falls of pace with varying length, often from a cutter grip, where it can go as slow as 100 km/h, but it hovers on average around the 115–130 km/h range. Nathan Wade Bracken is a former Australian cricketer. A tall left-arm fast-medium bowler, Bracken is capable of swinging the ball both ways and he has represented Australia in all forms of the game. Bracken represented New South Wales in Australian domestic cricket, Eastern Suburbs in Sydney Grade Cricket, on 28 January 2011 he announced his retirement from the game due to a chronic knee injury. On 9 February 2012 it was reported that he sued Cricket Australia over the latters alleged incompetency in managing his knee injury, nathan Bracken was born in Penrith, New South Wales to parents Gordon and Robin. He spent his living in the Blue Mountains region of New South Wales, attending Faulconbridge Primary. He currently resides on the Central Coast of New South Wales and is married to Haley Bracken with whom he has 2 children named Chase and he is studying for an undergraduate degree in communications. Bracken contested the Australian House of Representatives seat of Dobell as an independent against sitting member Craig Thomson at the 2013 federal election and received an 8.2 percent primary vote. After a stint at the Australian Cricket Academy in 1997, Bracken made his first-class debut for New South Wales against Queensland on 27 October 1998 at Manuka Oval, New South Wales were beaten by an innings and Bracken finished with figures of 0/86 off 41 overs. He played 5 more first-class matches in the 1998–99 season and finished with 11 wickets at a average of 30.36. The 1999–00 season saw Bracken only play one match, however the 2000–01 season was one of success for Bracken. He finished the season as New South Wales second leading wicket-taker behind Stuart MacGill with 29 wickets at 23.72, after recovering from a shoulder injury he sustained on the 2001 Ashes tour, Bracken played 8 matches for New South Wales in the 2001–02 season. He had a season once again, claiming 24 wickets at 31.79. 2002–03 was a season that saw Bracken struggle as he only took 16 wickets in 6 matches at a rather expensive 36.62, 2003–04 saw Bracken make his Test debut and as a result, he appeared less frequently for New South Wales. Finch is a top order batsman, and occasional left arm orthodox spinner. Finch currently holds the record for the highest innings in a Twenty20 International match,156 and he scored his maiden first-class double century on 29 October 2015 while batting for Cricket Australia XI against New Zealanders in a tour match. Finch used to play at Colac West Cricket Club as a junior where he was a keeper for his side. A right-handed batsman, he played in the 2006 Under-19 Cricket World Cup in Sri Lanka, Finch got his opportunity in the State side in the 2009/10 season. He hit his maiden first class century against Tasmania at the MCG and he combined with 3rd wicket partner David Hussey for a contribution of 212. He was eventually out caught behind for 102, Aaron Finch made a promising start to the 2010 Airtel Champions League Twenty20 in South Africa, for Victorian Bushrangers. On 7 October 2012, while filling in as captain, Finch struck a record 154 runs at the Gabba against an unthreatening Queensland bowling attack and this is the highest score for a Victorian in domestic one day cricket. Aaron Finch played for the Melbourne Renegades in the inaugural Big Bash League season in 2011, in 2012, he became the captain of the Melbourne Renegades, and was the Big Bash League player of the year. On 11 February 2014, Yorkshire County Cricket Club announced the signing of Finch, in July 2014, he played for the MCC side in the Bicentenary Celebration match at Lords. Finch top scored with 181 not out, as the MCC XI won the match by 7 wickets and his hard hitting made Australian selectors to give Finch his first international appearance in T20 International against England on 12 January 2011. After two years, Finch made his first ODI appearance on 11 January 2013 against Sri Lanka, finchs innings included 14 sixes and 11 fours. The previous record was 123 runs, scored by Brendon McCullum of New Zealand, Finch received Man of the Match award in a Twenty 20 game against England at the Melbourne Cricket Ground on 14 January 2011. Finch was selected as part of Australias 2015 Cricket World Cup squad, eventually, he was reinstated for the last two matches of Australias campaign. Ponting with his wife Rianna in 2016. Ponting during his 124 against Sri Lanka on 12 February 2006 at the Sydney Cricket Ground. Johnson bowling against India in 2010. David Hussey with Australia in 2009. Hussey bowling off spin in the Adelaide Oval nets. Haddin playing for Australia in 2009. Finch playing for Victoria in 2011. Katich fielding at short leg in a Test match against India in October 2010. Hayden survives an appeal for a stumping by MS Dhoni in his last ODI, March 2008. Bat used by Brad Hodge during his double century against South Africa-on display at the Melbourne Cricket Ground.